​Joseph Wahed, one of the great leaders of our Karaite community, passed away three years ago. He is still missed by many of us who knew and worked with him, and so KJA is very happy to announce that a living memorial is being established in his honor by his widow Kathi Twomey Wahed, and other Wahed Family members, in collaboration with JIMENA (Jews Indigenous to the Middle East and North Africa). We hope that others who remember Joe will join in Kathi’s effort to establish The Joseph Wahed Memorial Library within the new Karaite Jewish Cultural Center; a key objective of our Karaite Jews of America “Foundation for the Future” Campaign. JIMENA is very pleased to support this initiative, which is also being announced on its website. This is a cause about which Joe would have been extremely supportive, and also very proud. The memorial will be established at Congregation B’nai Israel as part of our effort to establish the national Karaite Jewish ​Cultural Center as a component of our renovation and expansion. 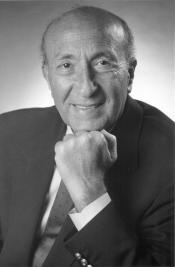 Joe served on the Board of Directors of Karaite Jews of America (KJA) for ten years and was an avid supporter of the synagogue, often representing KJA as its public spokesman. As a co-founder of JIMENA, he was determined to help sustain the memory and traditions of Jews from the Middle East, and particularly of Karaite Jews, so often obscured in an American worldview of Judaism more typically grounded in the European experience. Click here to make a Campaign gift in Joe’s memory. The Joseph Wahed Memorial Library will accomplish many of the things Joe felt were essential to guarantee the continuation of Karaite traditions in the United States, including recording and housing more oral and video histories of Karaite Jews to preserve and share our legacy, similarly to the oral history Joe produced for his mother Sarine some years ago. Support of the Wahed Fund will allow us to do more work to record, edit and make available these living testimonies of a lost past; and to gather and preserve our texts and written archives for future generations. This support will help keep Joe’s memory alive, by helping to preserve his unique Karaite Jewish ​heritage. This is a heritage worth remembering, and it is only with the support of all of us, that these traditions and his legacy will be sustained. Please join the Wahed Family and JIMENA today, in this important undertaking.